And many of them are filing patents, which are becoming progressively more focused on final products rather than parts or processes. The nanotechnology revolution is underway. Most professionals agree that the importance of nanotechnology can’t be measured and that it is probably the single most influential technology for future generations. The National Science Foundation estimates that by 2015 the global nano-market will have raked in an impressive $1 trillion or more every year, which would potentially qualify it as the fastest-growing industry in human history. For those who think that the telecommunications and information technology boom of the late 90’s was big, watch out. The number of nanoparticle patents being filed every day has skyrocketed hundreds of times over in just the last three or four years and shows no signs of slowing. Everyone knows that nanotechnology is where it’s at. The difficulty comes when you realize that small components of everyday products are already becoming infused with differing amounts of nanotechnology. Because the industry is so new and safety testing is having a hard time catching up, in some cases manufacturers are reluctant to label themselves as nanotechnology producers. If the market shows an upswing, they will most likely rebrand in order to cash in on it. This makes it especially difficult to calculate the actual growth of the nanotechnology industry sector. But researchers have found that many products incorporate nanotechnology even if they don’t call it by that name, leading us to believe that before long, you’ll see this new science cropping up in all sorts of unexpected and familiar places. National governments are not quite so shy about stepping up their participation in nanotechnology research. Every political force wants to have a stake in the cutting-edge scientific breakthrough of the moment; it has even been suggested that Chinese industry leaders are counting on nanotechnology gains to put them ahead of the United States in the economic race. The U.S., of course, is countering that by funding a whole host of nanotechnology-related research groups. One is reminded of the nuclear arms race between America and Russia, except with a dry technological twist. The Cold War was a war of economies but also a war of potential destruction. This race smacks of nothing but economic ambition, yet it goes to show that competent national leadership considers nanotechnology to be serious business. It is also a telling sign when national leadership wants to garner as many nanoparticle patents as possible in the government’s name as a sign of personal prestige. In 2002 alone, global governments funded $2 billion worth of nanoparticle research, with the United States contributing $604 million of that figure (it rose to $774 million the following year, and in 2004 had risen as high as $847 millilon.) Typically the government likes to put its investments in very safe places. The U.S. alone is responsible for 1/3 of worldwide nanotechnology spending with nearly $1 billion invested in the market, and 40 other countries have invested serious money into the development of nanotechnology and producing nanoparticle patents for their nations. The European Union has set aside more than $1 billion for nano-research and Japan has reached similar figures. None of this funding includes private investments, which are many times greater than those sponsored by government agencies. ~Both public companies and private ventures are estimated to have spent about $3 billion on nanotechnology research and development alone in 2003. ~Since the year 2000, the United States government has diverted more than $3 billion for nanotechnology development, making it one of the biggest projects in U.S. government history. Currently nanotechnology is the most heavily-funded science project the U.S. has invested in since the Apollo space missions, and is poised to surpass them. 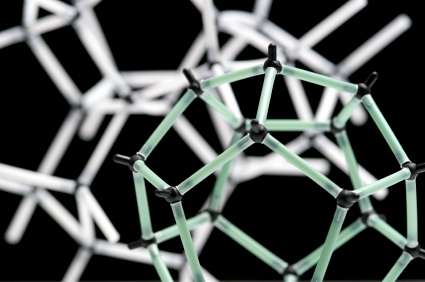 More than 700 top-ranking companies are currently devoted to nanotechnology. Close to 100,000 scientists have now become certified to work in the nanotechnology industry. Small tech jobs related to nanotechnology constitute one of the fastest-growing sectors of the economy, thanks in large part to the universality and versatile applications inherent in the field of nanotechnology. The medical industry has seen huge gains as a direct result of incorporating nanotechnology into their innovations. The majority of nanoparticle patents are either directly related to the medical industry or have larger implications in regards to medical use. Nanotechnology startups are considered among the best startup investments in the economy, with close to $500 million invested annually in recent years. Venture capital has increased between 200 and 400% in some cases. Although critics of the nanotechnology market warn against large investments because of the slow product output that the industry has so far managed to put forth, others say that official numbers do not give an accurate picture of the actual revenue flow. Eddie Bauer has already released self-cleaning stain-repellant khakis that operate with nanotechnology. Various mattress companies have latched onto nano-foam, which is a high-performing memory foam similar to Tempur-Pedic’s name-brand product. Various fabrics, such as silk and wool, have been nano-engineered to the point where they can actually “eat” stains instead of getting ruined, thereby promising a revolutionary change in the clothing industry. And in the medical field, the possibilities are virtually endless. Nano-researchers have used particle technology to create synthetic bone that matches natural bone yet can outperform it in multiple ways, as well as synthetic blood cells that can enhance human performance many times over. With all the inventions and innovations it has spurred, it seems that everything nanotechnology touches turns to gold. This entry was posted on July 6, 2009, 2:48 am and is filed under nanoparticles. You can follow any responses to this entry through RSS 2.0. You can leave a response, or trackback from your own site.